This is a guest contribution by MotoPress. 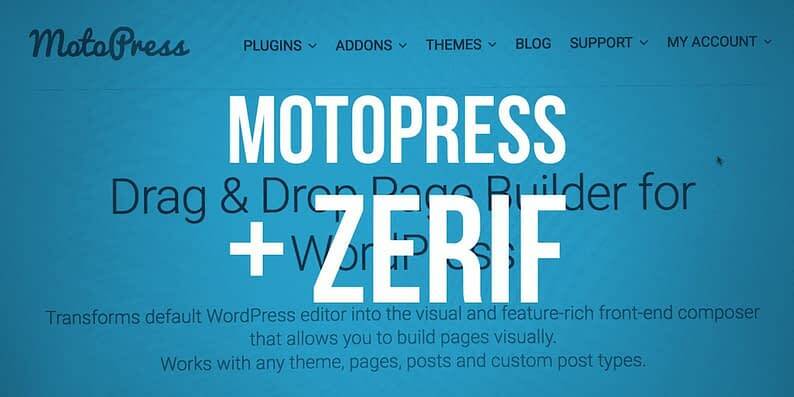 The guys from MotoPress have built a completely custom plugin to help with the integration of our most popular free one-page theme – Zerif Lite – and the MotoPress Page Builder – one of the most popular drag-and-drop builder plugins out there. The new plugin adds Zerif styles to all content elements available via the MotoPress Page Builder. 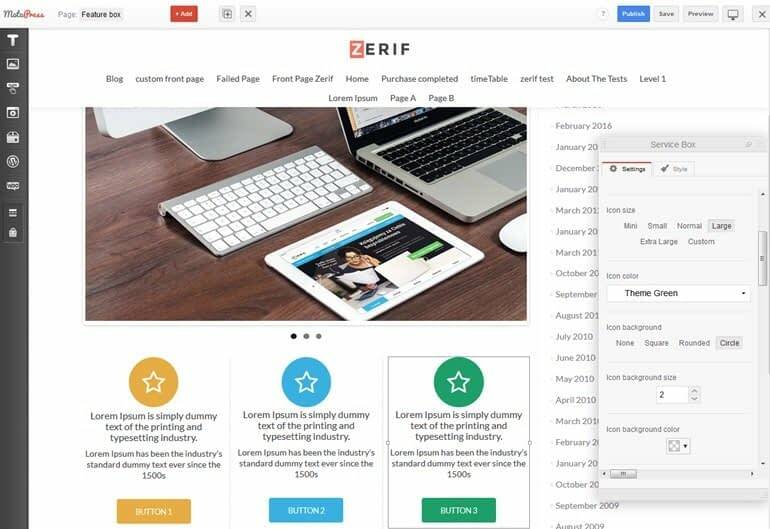 It’s not much a surprise that the Zerif theme for WordPress is one of the trusted leaders in the industry. It’s stylish, flexible and feature-rich. Chances are, you noticed that its both PRO and Lite versions constantly appear in a variety of roundups. And probably you’re one among thousands of users who are already successfully using it for a startup or an established company. Now, how can you get even more from your beautiful Zerif theme? Many ways, I believe. But the one I want to present today is a significant enhancement of your customization experience. 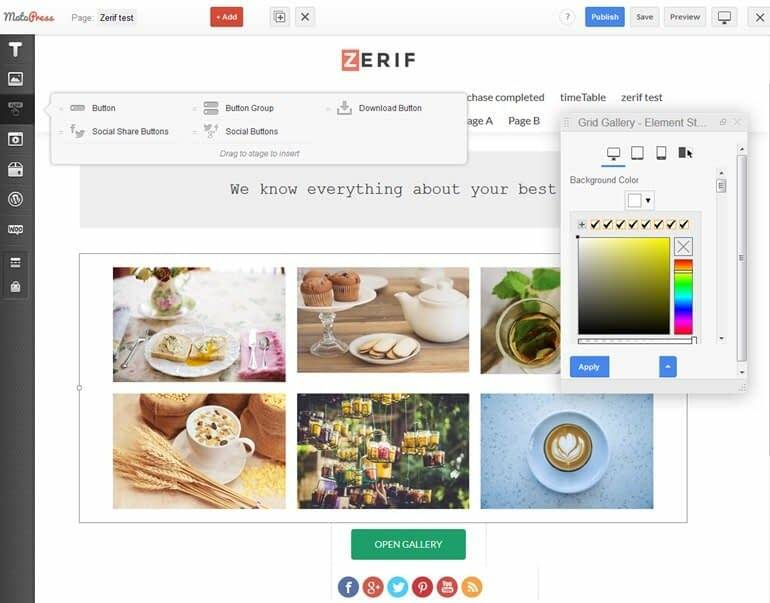 Meet a powerful free plugin to empower your version of Zerif: MotoPress Page Builder Lite. What’s MotoPress Page Builder Lite? 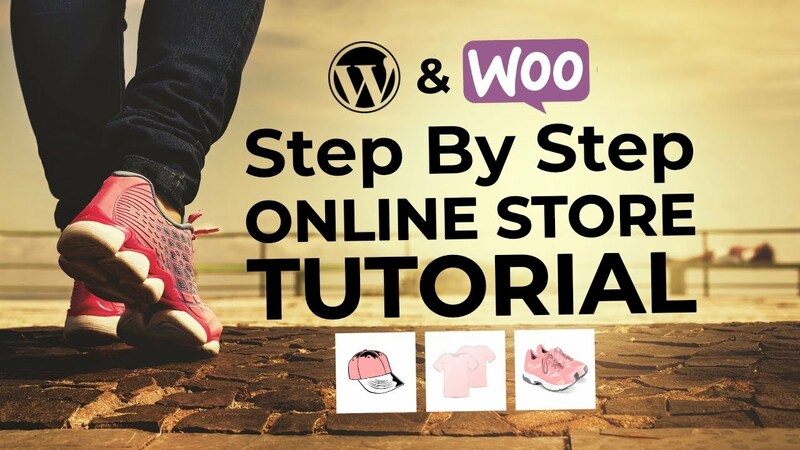 In short, that’s a great user-friendly tool to provide a customization leg up for any WordPress site. 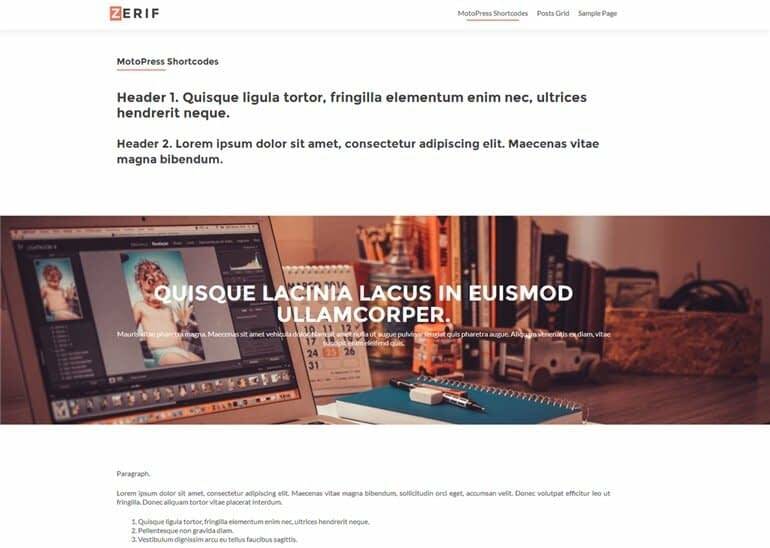 To rephrase, MotoPress Page Builder is one of the strong competitors among currently popular WordPress drag-and-drop builders aiming to help non-techs create professional pages and posts with all the necessary functionality. Apart from tons of features and available content elements, its main standout is an ability to edit a website right on the front-end. 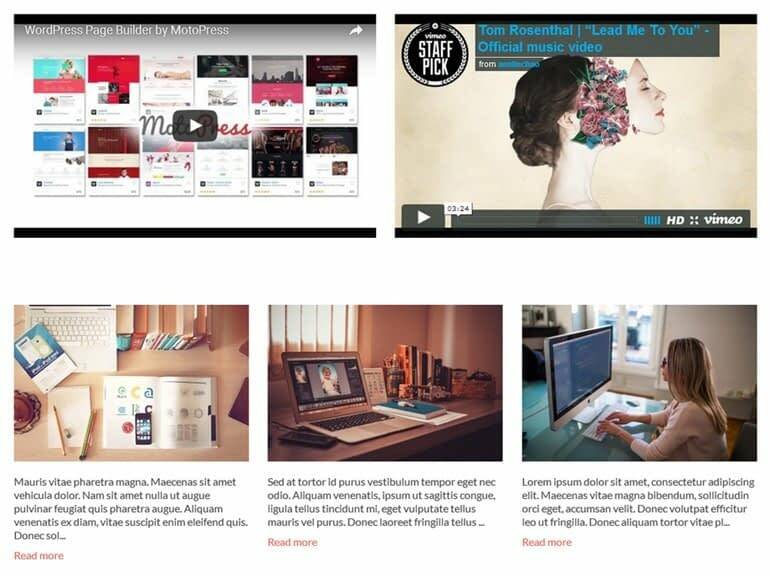 It gives you a chance to instantly see how your live website page will look after publishing. 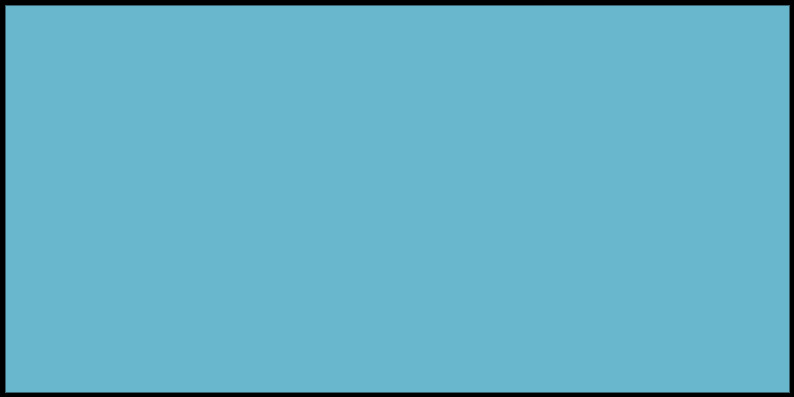 The builder offers multiple predefined layouts, the shape of which can be easily changed by simple stretching plus an ability to build your own layouts with drag & drop using a range of available elements. 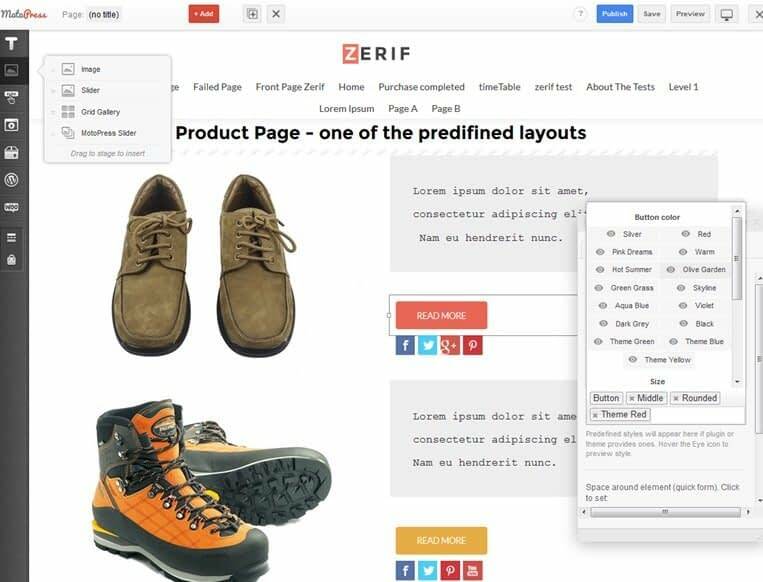 It comes with a built-in Style Builder to perfect all needed content elements with the needed styles visually without any technical help – Zerif styles included. Collection of Google web fonts at your hand. 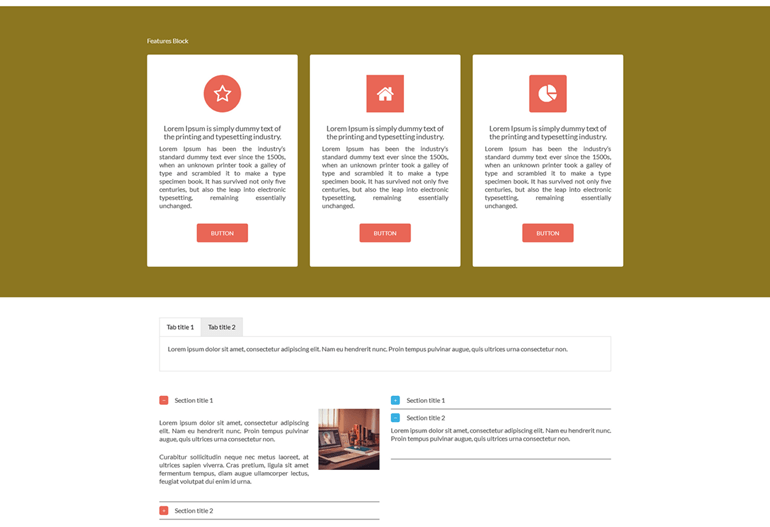 Multiple ready-to-use content modules that are added to the page by simple dragging. Full height and width of the rows/columns available. And yes, all this is free! You can download the plugin from the official WordPress.org repository (links above). If you have any questions, you may address a detailed documentation any time. If you like how it works, remember that a Pro version ($29) is also available: it includes more options and comes with an ability to extend your editor with more multipurpose premium addons. Okay, let’s illustrate the main advantages of the builder and Zerif theme integration with examples. 1. Text, title, quote, icon, paragraph, list, members content, etc. 2. Image, slider, grid gallery, MotoPress slider. These elements will help you structure your imagery, portfolio, galleries, sliders literally in minutes: just choose the needed element, drag it to the page and fill in with custom content and additional elements (if required). Depending on your requirements, you can set the images to be equal in sizes or to show their initial sizes in a grid gallery. When you add and edit any button, open a button style editor and switch between the Settings and Styles tabs to apply the needed changes: change button text and link, set icon and alignment, choose the style, and set spaces. You can either embed your Youtube / Vimeo video into the page or set it as a background – still one of hot web design trends to engage your visitors! As for background video, the format of video sources may be different (WEBM, MP4, OGV). You can also select a specific image to cover your video and apply more settings (e.g. repeat, mute, etc.). Those aim to satisfy your conversion-boosting purposes, create responsive tables and charts to properly show all needed business statistics, advertise smartly with non-blatant splash screen widgets, increase traffic and conversions with a countdown timer, etc. MotoPress Page Builder also lets you add some clean-looking calls-to-action, where you are free to update all text content, pick shape and style (choosing from the builder custom styles and Zerif theme styles), set width or manually stretch the block, select button position, apply a link, choose button shape & size, apply animation, and more. By the way, all of that is free. Why not grab it for a test-drive? The MotoPress Page Builder Lite plugin. The Zerif MotoPress Page Builder Integration plugin – to adjust the builder to Zerif theme styles. Then, open a new page/post » from the drop-down menu choose a page template » click the “Edit with MotoPress” button. Both the MotoPress Page Builder plugin and the Zerif MotoPress Page Builder Integration plugin fully support Zerif Lite and Zerif PRO. You get Zerif integration no matter if you’re using the MotoPress Page Builder Lite or Pro. Apart from that, both MotoPress Page Builder Lite and Pro can be used with any other WordPress theme. If something still looks fuzzy, speak your mind in the comments! Head content crafter and WordPress figure-outer, manages ThemeIsle's team of writers ★ Author of "WordPress Complete" ★ Professional yerba mate drinker.